challenges and changes 2019 has in store? The experts predict a bumpy ride! 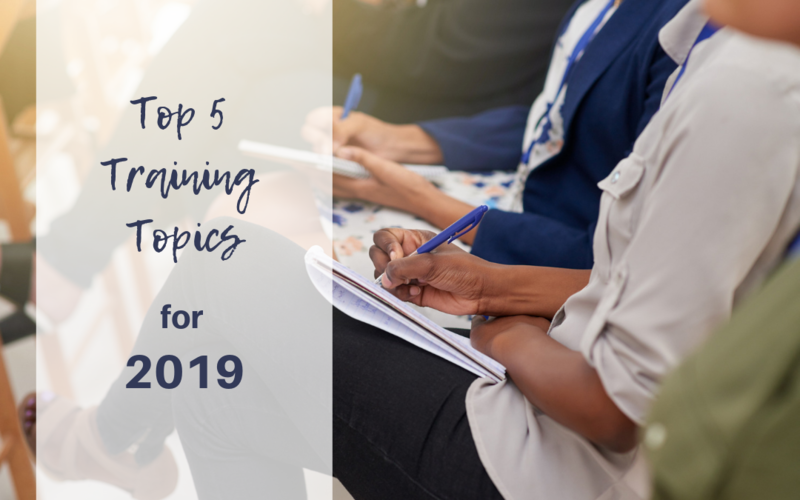 Here are the top five training topics your caregivers need to continue to grow, improve, and have a real impact on the quality of client care they deliver. New Medicare Advantage opportunities in home care will drive big changes in 2019. Health plans will look for home care providers with a proven ability to keep clients out of the hospital. 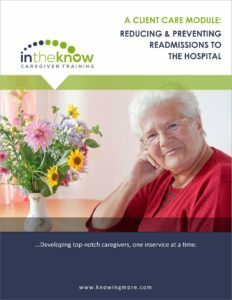 Preventing readmissions doesn’t end when a person leaves the hospital. In fact, that’s often when it begins! When a newly discharged client is added to your roster, the entire team accepts the responsibility to help that client follow discharge instructions, take medications properly, and to make and keep follow-up appointments. This topic is available in both e–learning and PDF format. Remember “Takedown Day” in 2018? It was the largest healthcare fraud enforcement action in American history. There’s no reason to believe it won’t happen again in 2019. This topic is available in PDF format for instructor-led training or to distribute for independent learning. Wildfires, hurricanes, and extreme winter weather have all seemed to increase in episode and intensity over the past few years. Will your caregivers keep their clients safe in 2019? This important topic focuses on the most common types of natural disasters including fires, tornadoes, hurricanes, winter weather and earthquakes. It also provides information on nuclear disasters, bomb threats, and terrorism threats. 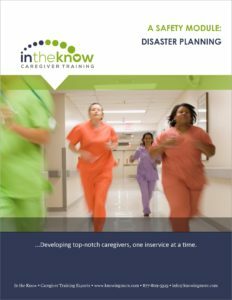 Caregivers will learn their role in disaster planning and preparedness and how to help their clients put together a disaster preparedness kit. Human trafficking in the US is a rapidly growing humanitarian crisis that affects people of all ages—children, teens, adults, and the elderly. 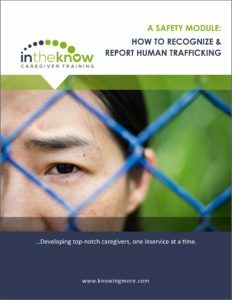 This course walks learners through common scenarios that illustrate how regular people can be “forced, fooled, or frightened” into human trafficking situations. You’ll learn how to spot it, how to help someone you suspect may be in trouble, and how to avoid a situation like this from happening to you. For 20 years, opioids were the first (and sometimes the only) choice doctors offered to patients for pain relief. But, it turns out the risks associated with opioids far outweighed the benefits. Today, we find ourselves in the midst of an immense public health crisis as a result of overuse and misuse of opioids. 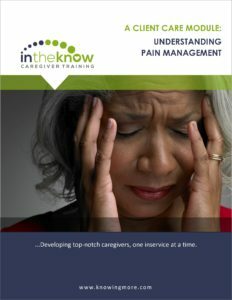 With one less tool available to bring relief to those who experience pain, healthcare workers must find alternative ways to provide safe and effective pain management to clients who need it. Ready to add these important topics to your learning library? 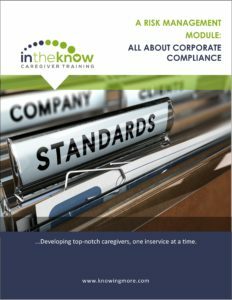 fit professionally prepared caregiver training into your budget.